AMBERLEY Museum has donated 3ft-gauge Peckett 0-6-0ST 1316/1913 Scaldwell to Southwold Railway Trust (SRT). The ex-Scaldwell Ironstone Quarries, Northamptonshire loco is substantially complete, but after many years of open storage requires extensive work to restore it to steam. SRT needs to raise around £1,500 to transport Scaldwell to Suffolk. With half the amount already promised, SRT hopes the move will be made next spring. Detailed examination and work to prevent further deterioration will then follow, with partial dismantling starting when sufficient funding is available. 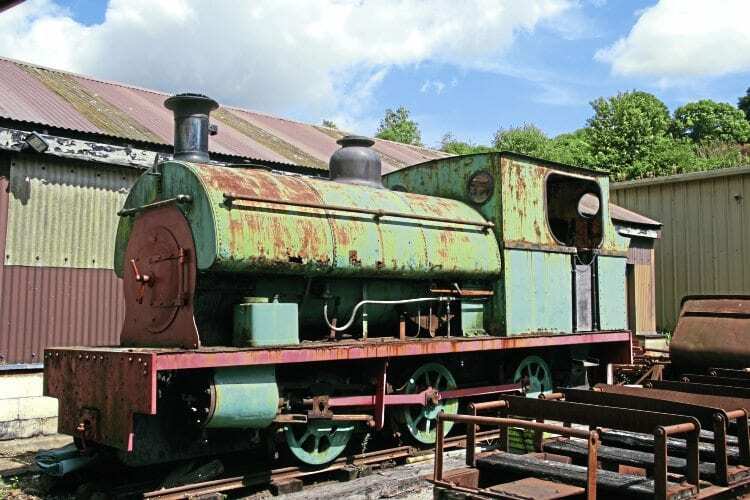 This is the first complete steam locomotive (albeit requiring restoration) acquired by SRT and, sharing Southwold Railway’s original 3ft gauge, the aim is to return it to operation. However, SRT emphasises its project to construct a replica Sharp, Stewart 2-4-2T No. 3 Blyth has not been abandoned. Scaldwell’s 10ft wheelbase and probable 6.6-ton axle load means track plans and specifications for SRT’s planned Blyth Road, Southwold tourist attraction (RM July 2016) may need to be reviewed. Significant funds for this project still need to be raised in addition to financing restoration of Scaldwell.